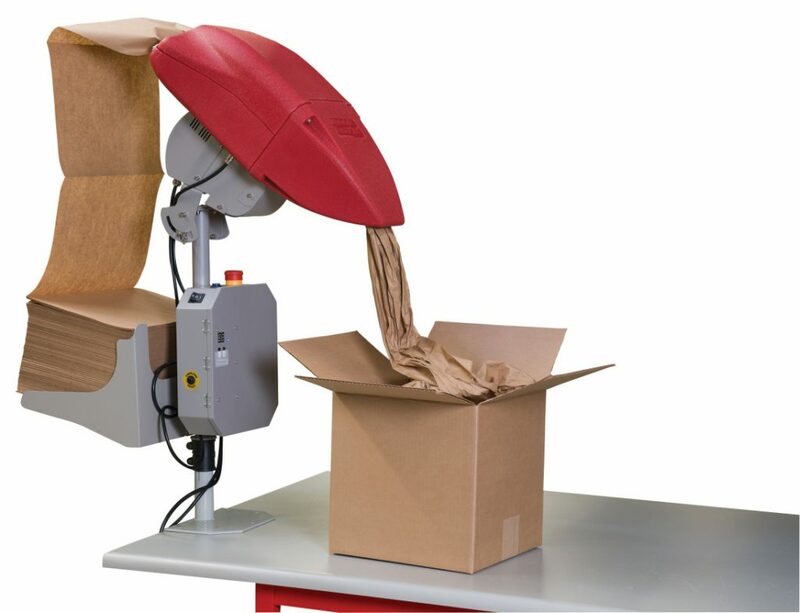 Sealed Air’s line of paper systems provide the best paper packaging material for your operation. 100% recycled paper for cushioning or void fill. Pictured here is the FazFil machine, which can be bench mounted or used on the mobile stand provided. Paper is dispensed at the press of a button from either a roll or in sheet form. Please ask for more information or a demonstration. the safe transit of fragile items. 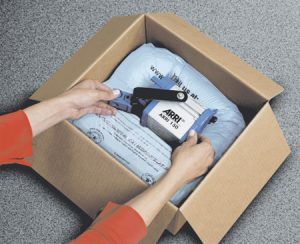 In application the pads are used to line the inside of the carton in a variety of packing techniques from Cushioning, Wrapping, Blocking and Bracing or simple Void Fill. The New Air I.B.® Express System is fast enough to keep up with even the most demanding packaging operations. 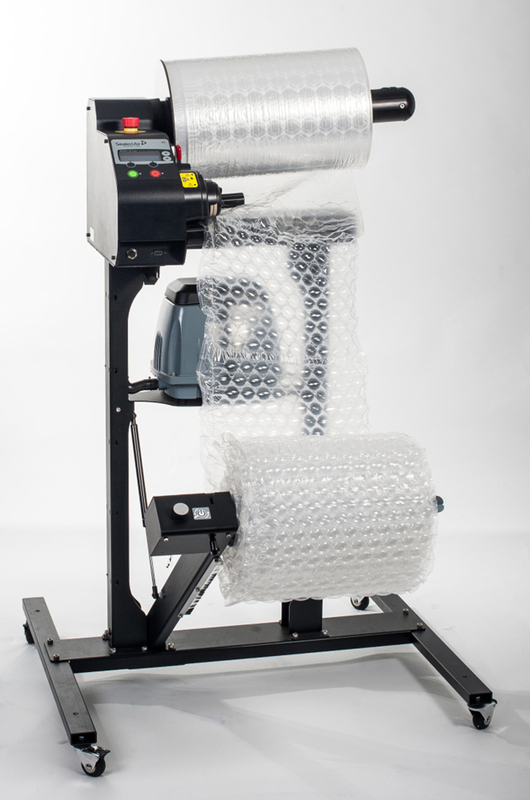 It can quickly produce inflatable cushioning, in 12″ and 24″ film widths, at speeds up to 65 linear feet per minute. The small footprint and variety of batching, delivery and converting options make the New Air I.B.® Express System the perfect fit in almost any packaging environment. 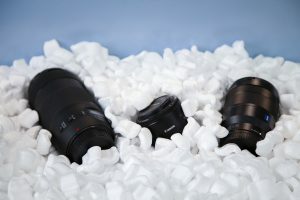 The cushioning output can also be customised with a choice of two different film widths, 12″ and 24″, and a variety of regular and premium film options. 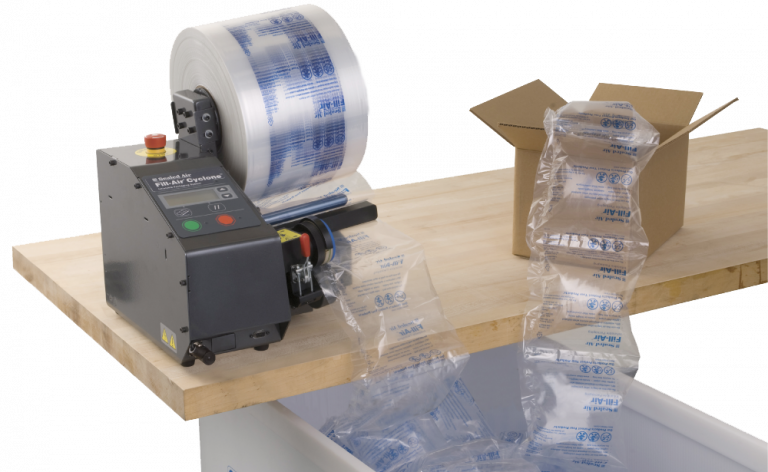 The Fill-Air® Cyclone™ inflatable packaging system offers high volume packaging without compromising valuable floor space. 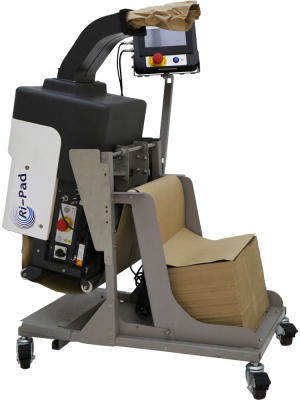 It’s compact footprint is ideal for tabletop placement at a pack station. 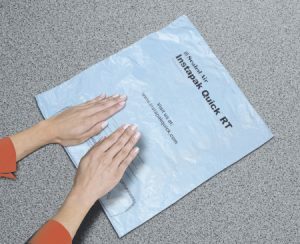 Instapak Quick® Room Temperature (RT) foam packaging provides users with a custom-fit protective cushion, that is fast, easy to use and ideal for small to medium volume packaging applications. 1. Select correct bag size. Polystyrene Loose Fill is a popular and economical option. 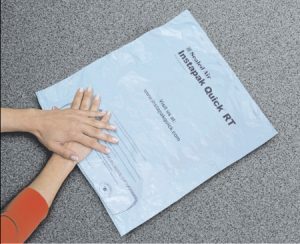 We stock the long established SpacePack brand, which is supplied in 15 cubic feet bags. Also available is Eco Flo which is 100% biodegradable and made from GM free starch.